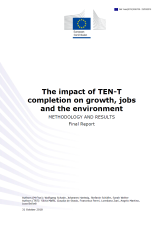 The European Commission has now published the study on “The impact of TEN-T completion on growth, jobs and the environment” performed by TRT in partnership with M-Five (DE) and Ricardo E&E (UK). The objective of the study is to quantify the impact of the TEN-T core network implementation until 2030, as well as the impact of each of the nine core network corridors separately, on European Union growth, jobs and the environment. TRT led an international consortium conducting a study on behalf of the EEIG Rhine-Alpine EWIG to asses the impacts that specific improvements on the infrastructure and service on the Rail Freight Corridor Rhine-Alpine may have in terms of modal shift from road to rail. The study focused on three topics selected together with the Railway Undertakings: 1) heavier trains (with 740m trains), 2) faster trains (with a reduction of stops) and 3) more reliable trains (including the role of ETA). We have opened a position looking for an intermediate/senior Policy Analyst to join our team. The position will involve working as part of a multidisciplinary team in transport policy projects. The candidate Policy Analyst will work in research projects and consultancy services and will operate in an international environment in partnership with companies and universities of different EU countries. He or she will develop quantitative analysis, support the drafting and publication of reports, source and write scientific articles and contribute to communication, information and dissemination tasks within the projects. We have opened a position looking for an intermediate/senior Transport Modeller to join our team in the Milan office. The position will involve working as part of a multidisciplinary team in transport modelling projects, which would imply network based models as well as in strategic models for passenger and freight transport at different scales, from EU level to local applications in urban areas. The candidate Transport Modeller will work in research projects and consultancy services and will operate in an international environment in partnership with companies and universities of different EU countries. He or she will develop quantitative analysis, support the drafting and publication of reports, source and write scientific articles and contribute to communication, information and dissemination tasks within the projects. 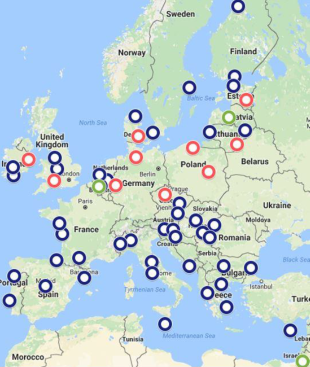 The SUMI project, lasting 24 months, provides technical support for the identification and the collection of a set of sustainable urban mobility indicators in 50 European large and small urban areas. · preparing realistic, harmonised and sound recommendations for further improvement and extension of the indicator system.